Jet Ski Hire Auckland - NZ's Ultimate Jet Ski Experience! 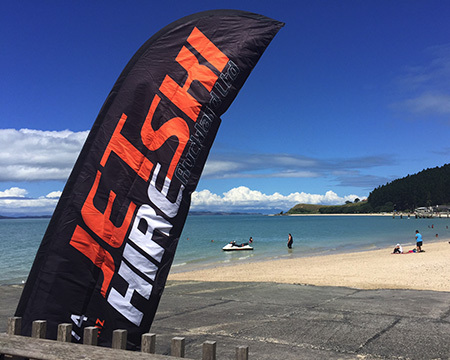 Welcome to Jet Ski Hire Auckland! 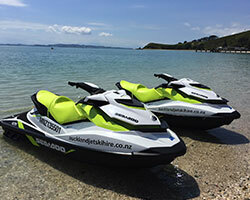 Jet ski rentals & guided tours from stunning Maraetai - with white sand beaches, crystal clear bays and easy access to the Hauraki Gulf islands it's the ultimate jet ski location...Waiheke Island is only 30 minutes by jet ski! Maritime NZ approved for safety, our 3 seater SeaDoo GTI jet skis are maintained to the highest standards. Ride your own jet ski, with or without a guide, for a thrilling day out - explore stunning islands, snorkel in crystal clear bays, relax on a white sand beach or try soft-bait fishing from a jet ski! Water sports lovers can hire our jet skis for some adrenaline filled fun with a sea biscuit, wake board, knee board or water skis! Our amazing guided tours include Waiheke, Rangitoto and Motuihe...book your adventure today! Gift vouchers available for Birthdays, Christmas, Anniversaries, Weddings & Special Occasions! Copyright ©2019 Jet Ski Hire Auckland LTD.